A fantastic gift for any occasion for anyone horsey! 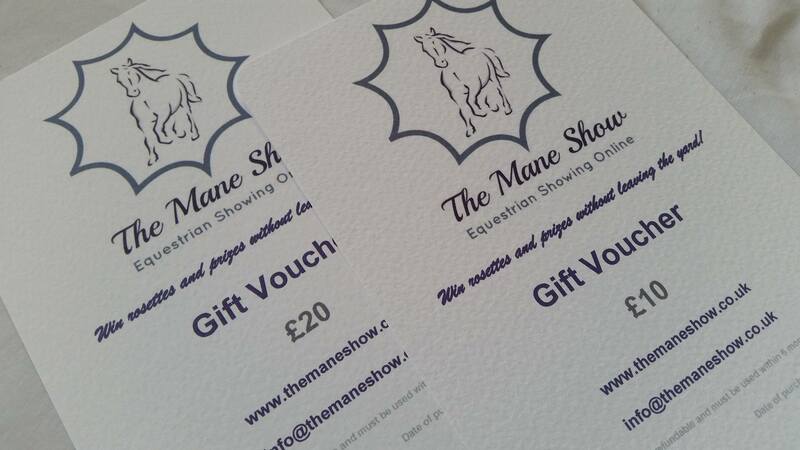 The voucher is to be used against entries to The Mane Show, the recipient can choose the classes. They are £10 or £20 including UK P&P. They are printed on luxurious paper and come in a beautifully dressed envelope - ready for you to write the recipients name on. If you want the voucher sent directly to the recipient, just let me know and I can address it for you. Vouchers are non refundable and must be used within 6 months of purchase.